great location, good sized apartment with everything you need. Bathroom a little on the small side, but more than adequate. City view apartments is definitely the side of the building to be on! Great location in Surrey hills! Only stay here because of the location. The staff was super friendly! Great location near lots of restaurants, cafes and pubs. Can easily walk to other parts of the city or hop on the Opal public transportation busses. A bit old and appliances don’t work. Location is good . Coffee makers and rice cooker should be made available ! The staff very accommodating, location fine. Air conditioning was fine. Having two bedrooms, two bathrooms, living room and kitchen made our stay very comfortable. Staff was wonderful. Our flight arrived in Sydney early in the morning. We were able to store our luggage at reception while we went out to explore Sydney. We received a phone call from reception staff when our room was ready. Our luggage was in our room when we got back to the hotel. We had trouble with the clothes dryer in our room, but the staff was wonderful and took our wet laundry to be dried in the hotel's commercial dryer and then returned it, folded, to our room while we were out. I loved everything about the hotel. Everything was lovely. The room, the location, the staff...everything was wonderful So much so that I have booked my next stay there already. the size of the 1 bedroom apt was just amazing. it was clean and quiet and simply perfect and that for such a low price. 100% recommendable to anyone travelling to Sydney. 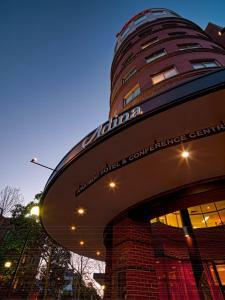 Lock in a great price for Adina Apartment Hotel Sydney Surry Hills – rated 8.7 by recent guests! 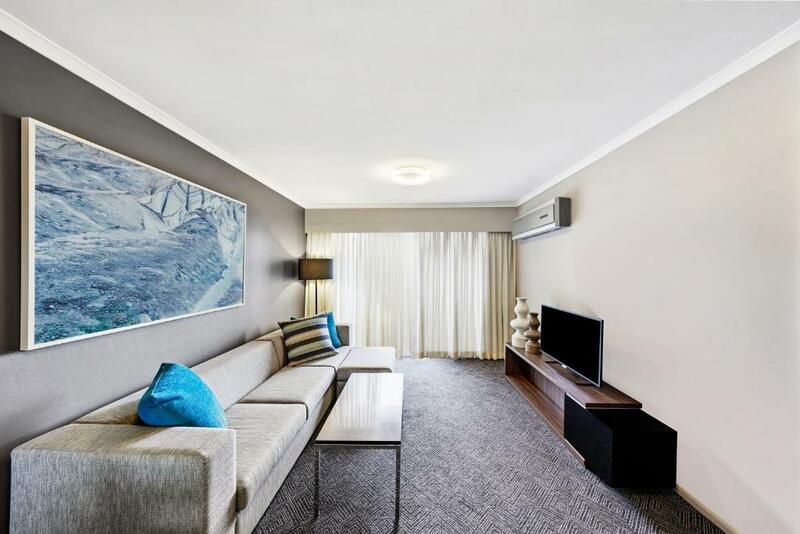 Adina Apartment Hotel Sydney Surry Hills This rating is a reflection of how the property compares to the industry standard when it comes to price, facilities and services available. It's based on a self-evaluation by the property. Use this rating to help choose your stay! 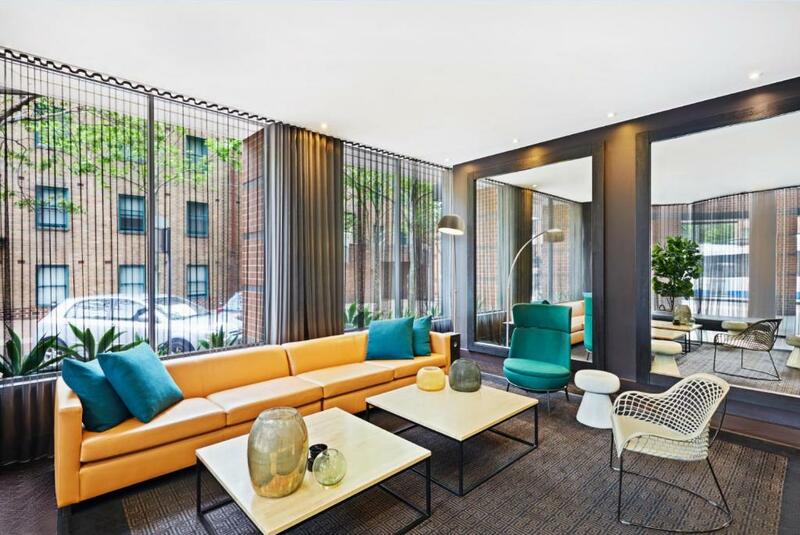 One of our top picks in Sydney.Adina Apartment Hotel Sydney Surry Hills offers a selection of fully-furnished modern apartments, just 10 minutes’ walk from Central Station. The garden courtyard features a swimming pool and barbecue area. 24 hours of free WiFi is provided, for up to 4 devises per apartment. 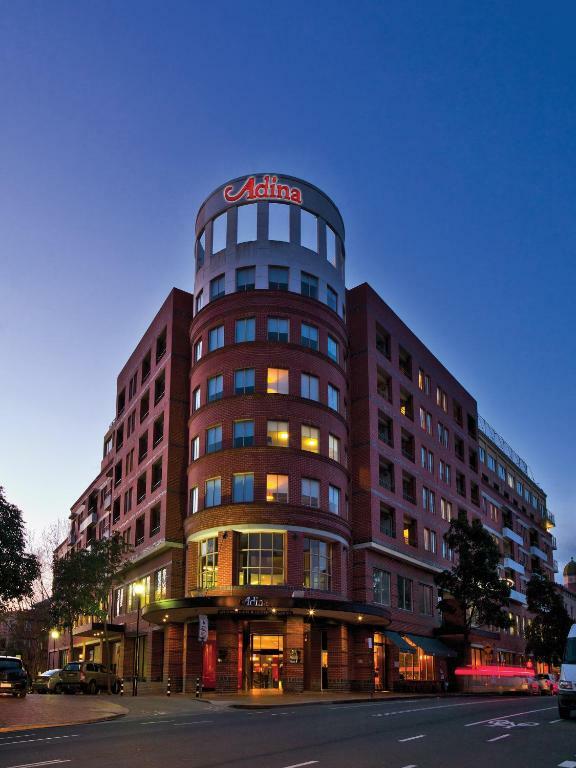 Located in the trendy district of Surry Hills, Adina Apartment Hotel Sydney Surry Hills offers stylish units with a separate living and dining area, plus a fully equipped kitchen with all appliances and utensils. 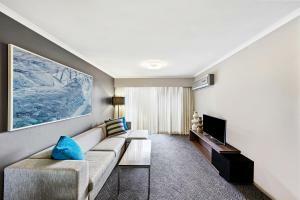 Each apartment includes an LCD TV with cable channels and in-room movies. Guests receive 100MB of free WiFi per room per day. Unlimited internet can be purchased for an additional charge. Leisure facilities at Adina Apartment Hotel Sydney Surry Hills include a fitness center, spa pool and sauna. In-room massages can be arranged. 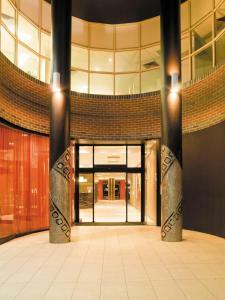 Adina Apartment Hotel Sydney Surry Hills is a 5-minute walk from Sydney’s famous Oxford Street. Many cafés, shops and restaurants are in the surrounding area. 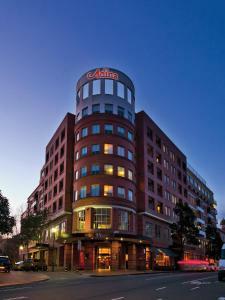 When would you like to stay at Adina Apartment Hotel Sydney Surry Hills? Located overlooking vibrant Crown Street, this spacious apartment features a separate living room, a fully equipped kitchen and laundry facilities. Overlooking vibrant Crown Street or Fitzroy Street, this spacious apartment features a separate living room, a full kitchen, 2 bathrooms and laundry facilities. 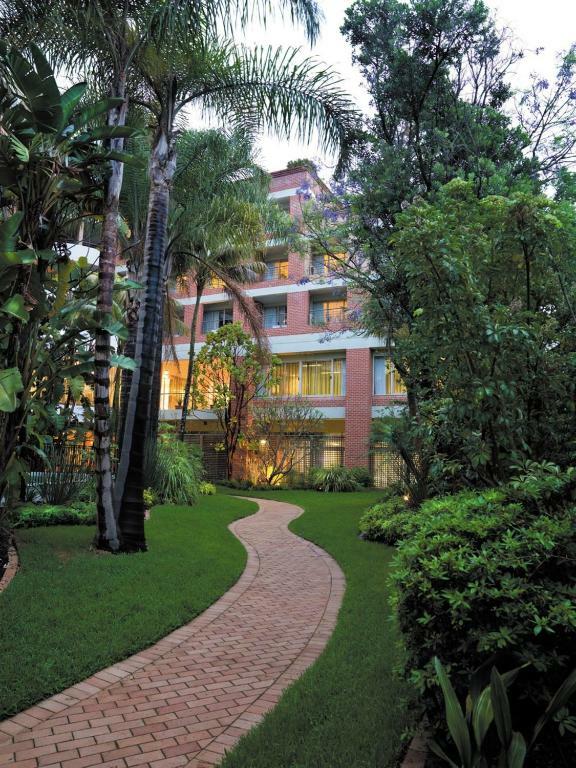 Located in a quieter location, overlooking the pool, gardens and city skyline, this spacious apartment features a balcony, a fully equipped kitchen and laundry facilities. 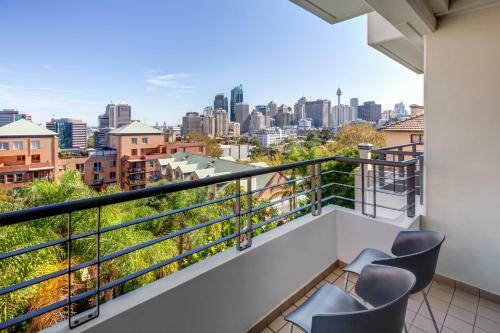 Overlooking the pool, gardens and city skyline, this spacious apartment features a balcony, a full kitchen, 2 bathrooms and laundry facilities. 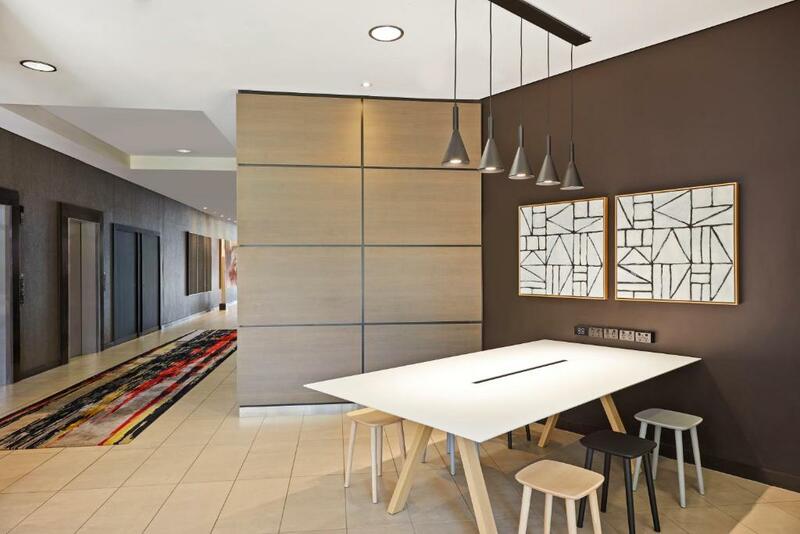 House Rules Adina Apartment Hotel Sydney Surry Hills takes special requests – add in the next step! Adina Apartment Hotel Sydney Surry Hills accepts these cards and reserves the right to temporarily hold an amount prior to arrival. You must show a valid photo ID and valid credit card upon check in. This credit card must be in the same name as the guest's name on the booking confirmation. Please note that Adina requires an AUD 200 refundable credit card pre-authorization upon check in to cover any incidental charges. Cash is not accepted for this security bond. Please note that the car park has a height restriction of 9.8 feet. The entrance to the car park is located on Fitzroy Street. Please note that this hotel has a strict 'No Party Policy', 'No Smoking Policy', 'No Animal/Pet Policy' and visitor restrictions. There may be penalty fees incurred if any policies are broken. Please note guests receive 24 hours of free WiFi per apartment is provided, for up to 4 devises. Additional data is available for AUD 9.95 for the remainder of the 24 hours, for up to 4 devices per room. Bedding The staff accommated an early check in which was very appreciated. Bathroom/shower could have been a little bigger/better, but otherwise was great. Stayed 15 years ago and looks as if it hasn’t been updated since. A bit tired a bit used and a bit dated. 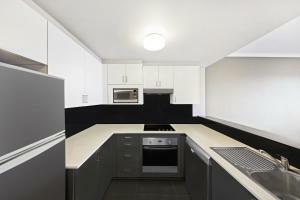 Badly equipped kitchen , no coffee maker for example and other basic stuff . I hate that when all these things cost next to nothing these days. The windows were filthy ( see picture) and the otherwise pleasant outdoor pool was filthier with a black scum line of sun cream and dirt all around the edge. ( see picture) It is obviously not properly maintained and we were uneasy about using it. Some of the staff could benefit from training in friendliness although there were a couple of notable exceptions who did make an effort to engage with us and an effort to deal with our niggles. It was however overall, woeful value for money and I cannot recommend it. I certainly won’t be returning under this management. For a family apartment with a large kitchen, there was little to cook with ie..pots pans etc. The reason we paid extra for an apartment so we could save on eating out costs. Bathroom shower clearly no more than regular surface clean. Needed a scrub. Staff great. Space and layout of the room was really good and functional. Housekeeping good. We had an evacuation at 5:05am. My wife has a walking frame and at check-in we were not advised of assistance requests in case of fire and had to use the lift. She coyuld not negotiate 3 stories of staires. Old tired and dated. Dark and smelly - corridors reminded of hall of reseince at uni. Air con broke down whilst we were there. A fee to pay by credit card even though it would cost them more to process cash! Needs a major make over for the price they charge. Great location, good facilities, clean. 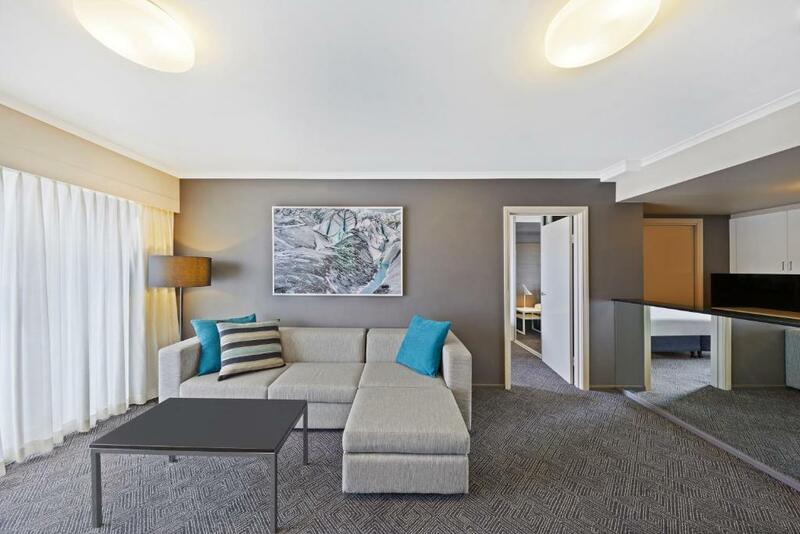 Everything you might need for your Sydney stay.